One of the hottest vehicles in town, SUVs combine versatility, elevated driving position and all-weather traction perfectly. With this article, discover the different types/kinds of SUVs available. Sports utility vehicles, or SUVs for short, are a kind of vehicles considered best for off-road driving and carrying large families. By off-road driving, we mean driving a vehicle on muddy areas, snowy regions and jungle roads. Driving wagons, sedans and hatchbacks are pretty difficult on such roads. As such, SUVs come in handy, as they drive through these areas easily and comfortably. Thus, a SUV is rightly termed as a rugged automotive that blends the performance of a truck with the passenger comfort of a station wagon, delivering an overall high-performance vehicle. Apart from their versatile cargo-carrying space capacities, SUVs offer an elevated driving position as compared to passenger cars and are able to seat seven to eight people unlike passenger cars that can only manage 4 to 5 travelers. Furthermore, with a taller height in hand, SUVs can easily and contentedly handle emergency maneuvers. In the following lines, find out the different kinds of SUVs that various companies offer their customers. Take a look! The first true off-road vehicles initially typified were the mini SUVs. Moreover, the short Jeep Wrangler is responsible for its initialization. However, these days, the mini SUV measures up to 162 inches in length. The earlier version of Suzuki Samurai is also a mini SUV with a wheelbase of 79.9 inches. Presently, the Fiat Sedici is one among the mini SUVs that can be seen successfully running on roads. This mini SUV has a wheelbase of 98.4 inches and is a blend of a true SUV and a minivan. Slightly larger than mini SUVs by 10 inches, compact SUVs are relatively still small, but offer better acceleration, handling and performance than the regular mini SUVs. Mostly, compact SUVs are more fashionable and upscale and offer luxurious interiors with more amenities. They have a wheelbase of 100.8 inches. Toyota RAV4, Mitsubishi Outlander, Suzuki Grand Vitara, Ford Escape and Honda CR-V are some compact SUVs. Generally considered as an alternative to minivans, mid-sized SUVs are successful in satisfying the needs of many large SUV buyers. While most mid-sized SUVs offer the optional third-row seat, not all are comfortable enough to fit in adults. However, they are good enough to offer a good balance of power, enhanced and versatile interior space, and safety to such large families. Ford Explorer, Jeep Grand Cherokee, Toyota 4Runner, Dodge Durango and Chevy Blazer are some mid-sized SUVs that offer good passenger capacity and huge cargo room. With their tough and brawny appearance, such SUVs are excellent at fuel economy, handling, maneuverability and smooth ride. Large SUVs are a hot favorite among families with 8 to 9 members. Boasting of excellent payload capacity, enormous interior space and cargo room, large SUVs are compared to jumbo jets when it comes to riding and fuel economy. Those elegant and classy interiors, coupled with safety features and advanced technologies are just a few reasons to induce customers to buy this big, muscle machine. Some large SUV models include Ford Expedition, Lincoln Navigator, GMC Denali, GMC Yukon and Chevy Tahoe. Better known as CUV, crossovers have emerged as an alternative to SUVs. Unlike the features of an off-road truck-based SUV, crossover embraces all the characteristics of a passenger car, the exception being the exteriors. 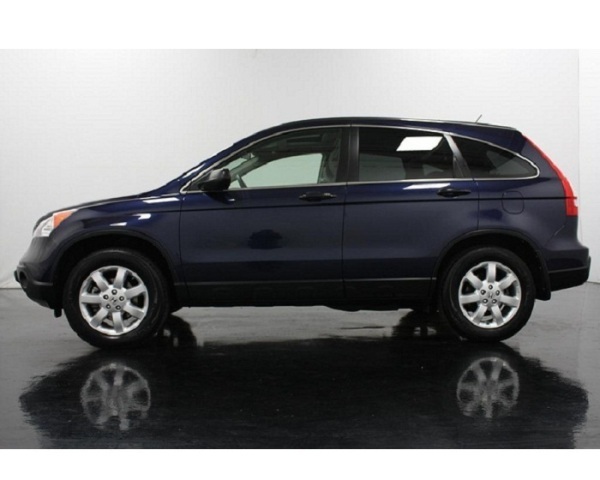 By offering crossovers, customers are able to possess the comforts and luxuries of a car with looks similar to a SUV. Audi Q5, Ford Escape, Honda Pilot, GMC Acadia, minivan-inspired Dodge Journey, Kia Sportage, Ford Edge and Nissan Murano are some models of crossovers. Full-sized vehicles that offer a full range of luxurious appointments right from leather seats to navigation to onboard entertainment systems to integrated chassis control systems are luxury SUVs. They have a wheelbase of about 116 inches and measure around 200 inches in length. Cadillac Escalade, Mercedes-Benz GL350, BMW X5, BMW X6, Porsche Cayenne and Mercedes-Benz GL450 are considered to be the best amongst their class. SUVs were once true off-roaders which has now been lost somewhere in the hubbub. The concept of an off-roader was initialized by Jeep CJ which is now known as Jeep Wrangler. Such vehicles were known for short wheelbases, high ground clearance and four-wheel-drive to easily navigate rough terrains and bumpy roads. Adding to this niche class of SUVs are Ford Bronco, Toyota 4Runner, Nissan Xterra, International Scout and all Land Rover series.